In a best case scenario, competing flavors placed side by side give you a renewed appreciation for both flavors. "Mmmnnn. The chocolate is good but let me try the vanilla side." Ideally, you'd be faced with a conflict over which side is better. By all rights, these new Pop-Tarts should be nothing but pure, tasty fun. Imagine getting up in the morning and contrasting two of your favorite flavors. Unfortunately despite all of the duality implied by the box and the nature of this product, there is a remarkable lack of contrast in the flavors. More than making you appreciate different flavors, these Splitz make you realize how similar all Pop-Tarts taste. Mind you, this is not a horrendous negative since all Pop-Tarts taste pretty good. But it is a little disappointing. When you heat these Pop-Tarts, the flavors waft over to their competing sides and you end up with taste that's more uniform than you'd expect. In the case of the chocolate and vanilla version, the end flavor is pretty good... think of a tiny chocolate and vanilla cream pie. As for Strawberry Blueberry Splitz Pop-Tarts, it's almost as if a new berry gets created in your toaster. It's not a bad berry... it's what I'd call a Pop-Tart berry... or that which makes all fruity Pop-Tarts taste vaguely similar. In the end, this product is fun... just not as fun as you'd expect. For the best Splitz experience, try the chocolate and vanilla version un-toasted. 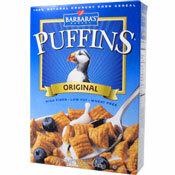 *The price reflects a 2 for $4.00 sale of boxes containing 8 Pop-Tarts each. 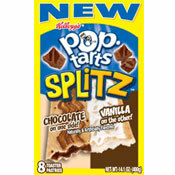 What do you think of Pop-Tarts Splitz? I do not like anything BLUEBERRY! My dad does but I like cookies n' cream, choc/ strawberry Splits, sundae, brown sugar cinnamon, and strawberry. The new chocolate strawberry ones are better than either of these, imo. They're one of my favorite flavors now. I thought this was a silly idea. Then I took a bite of one hundred percent goodness divided into 50/50. Actually mine was more like 60/40 but the center of the flavor doesn't matter. Here's the thing to enjoy these properly just break down the middle and stack the two halves on top of one another. It's excellent fun! A yummy for anyone's tummy!!! I do not care for the choc/vanilla.. Hoe even love the Strawberry/Blueberry.